“Pandora – The World of Avatar” recently opened at Disney’s Animal Kingdom in Walt Disney World, and park-goers have been blown away by the beautiful new land. 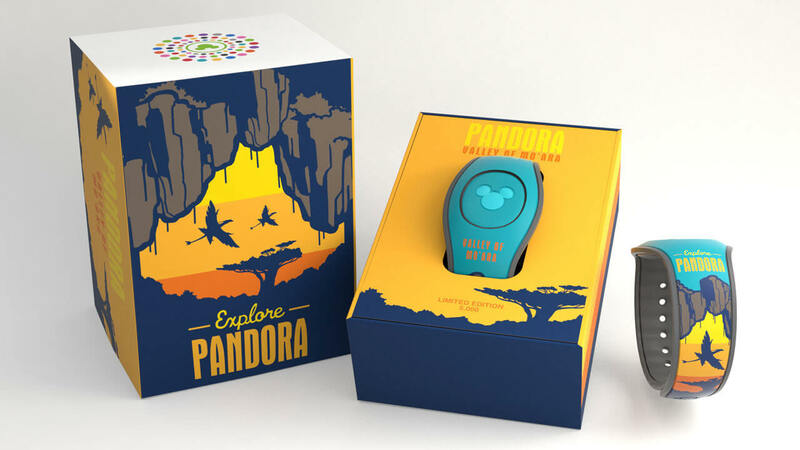 All kinds of great Avatar-themed merchandise has been flying off the shelves, and today Disney announced two new limited edition Pandora MagicBands that are perfect for visiting this alien planet. This eye-catching yellow and teal MagicBand 2 prominently features the Valley of Mo’ara at sunset. The second design shows off the spectacular bioluminescent landscape that can bee seen in Pandora at night. The art for this design was created by Co-Production Designer for the upcoming “Avatar” sequels, Dylan Cole. More of Cole’s art can be found on the box for the second design. Both of these new bands have edition sizes of only 5,000 each, so act fast. 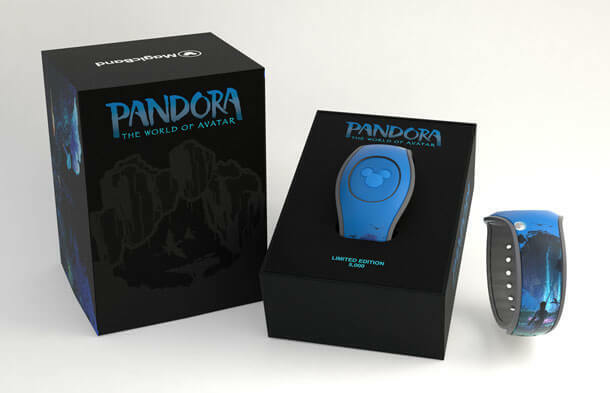 Click the ‘Purchase’ button below to pick up your new Pandora MagicBand 2.